and Dr. Jacob Schurman, president of Cornell University and former ambassador to Germany. They have gathered to condemn a pogrom against Jews that occurred April 20-23 in a village called Kishinev in Bessarabia, a region to the east of present-day Romania. A pogrom meant the destruction of an entire community, sometimes led by the local population and sometimes by the Cossacks, marauders who answered to the Czar. Homes and stores would be smashed and nearly everyone tortured or killed. During the late nineteenth century, these massacres occurred with greater frequency. Russian Jews became desperate to go to America. By 1903, they already crowded the tenements on Manhattan’s Lower East Side. 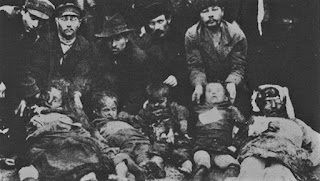 The wholesale murder of inoffensive, defenseless men, women and children . . .
During the coming months, Kishinev stayed in the headlines. Meetings were standing-room-only and thousands of dollars were raised for Russian Jews. 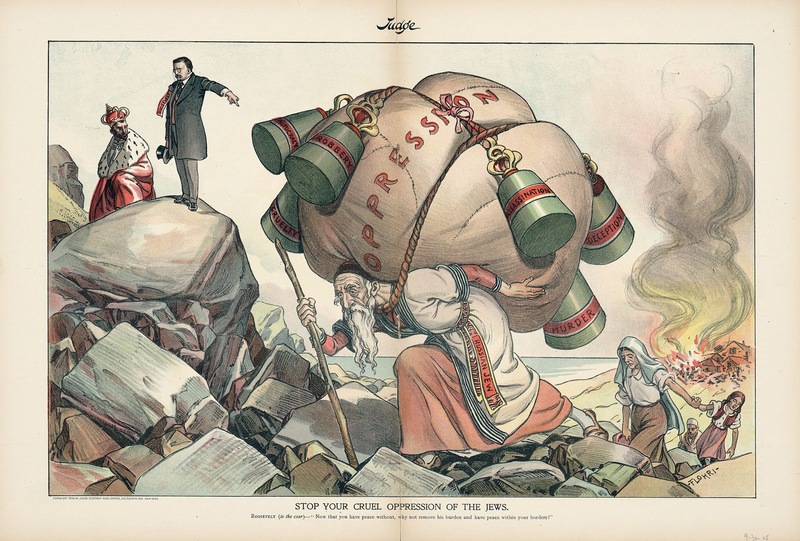 telling the Czar to stop the persecution of Jews. Yet even before the Carnegie Hall rally, an unlikely event occurred. The Chinese community in New York City sponsored a play at the Chinatown Theater with all proceeds going to the aid of the Kishinev survivors. 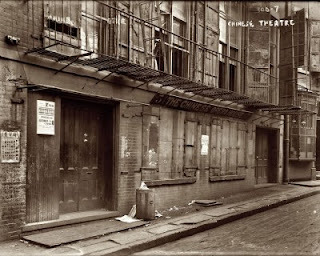 The benefit was the brainchild of two businessmen who had anglicized their names: Joseph Singleton (Chew Mon Sing) and Guy Maine (Yee Kai Man).
. . . told of what had been done in getting up the benefit performance by the members of the Chinese Reform Association, and said that if they had shown so much generosity and goodwill toward the Jews the latter’s indebtedness to them was very considerable, and the philanthropy of the Chinaman should never be forgotten. 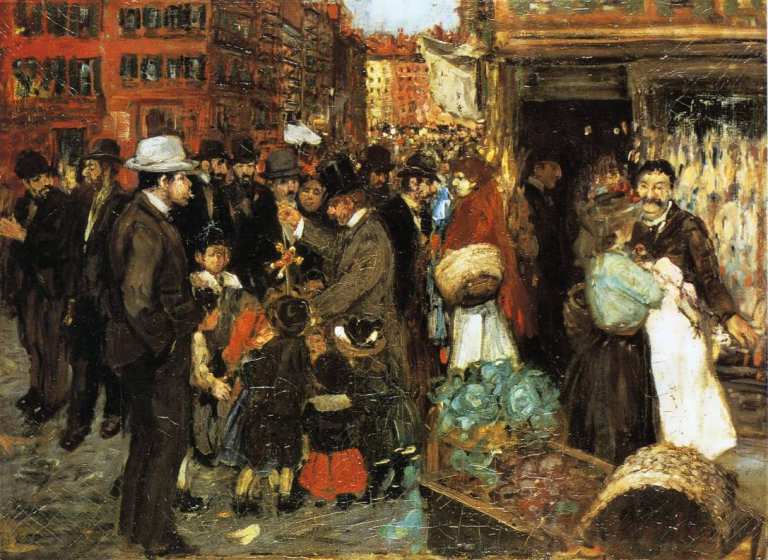 The mutual goodwill of the immigrant groups had been nurtured by their proximity to each other in the jumble of downtown Manhattan. In December 1905, the Chinese Empire Reform Association again held a benefit for Russian Jews and raised $1,000. A company of 40 Chinese performed a play called King David at Miner’s Bowery Theater. Two congressmen, two judges, and the borough president were in the audience. The actors spoke Chinese, which didn’t seem to interfere with anyone’s enjoyment. King David, a tragedy, was written by an English vicar named R. C. Fillingham. “In the intervals between the acts a company of Chinese soldiers gave drill exercises on the stage,” reported the Times. That in itself is a curious story. A few years earlier, George McVicker, a major in the N. Y. State National Guard, began training about 150 Chinese men in the attic space of the Oriental Club, a gathering-place for businessmen, on Mott Street. They used rifles with bayonets and dressed in U. S. Army-style uniforms. The training was initiated by the Chinese Empire Reform Association, which sought to overthrow the Empress of the Qing Dynasty. The 1911 Xinhai Revolution, which led to the formation of the Republic of China, owed some small success to the work of the association. Incidentally, Joseph Singleton and Guy Maine –who initiated the benefits on behalf of the Russian Jews – led the New York City chapter of the Chinese Empire Reform Association. In 1908, they brought Sun Yat-sen to the United States where he embarked on a nationwide speaking tour. There’s a good parallel here: the Chinese who hoped to vanquish the imperial ruler of the nation from which they emigrated, and the Jews who fled Russia to escape the imperial rule of the Czar. The closeness of immigrant communities would not necessarily lead to warm feelings; often it culminated in violence and fierce prejudice. Somehow that didn’t happen here. *Kishinev also is spelled Kishineff. The fascinating bits of history you unearth. I had no idea that Carnegie Hall was the site of such an event with former President Grover Cleveland and others denouncing the killing of Jews. Or the support between the Chinese and Jewish immigrants.